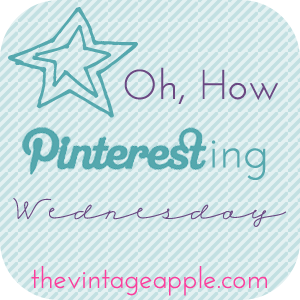 Michelle over at The Vintage Apple hosts ‘Oh, How Pinteresting’ every Wednesday and I’m going to give linking up a go. I love the idea of sparklers at a wedding. I actually have been pinning a lot of sparklers for wedding ideas! Thanks for the follow lady 🙂 I will make sure to follow you back! And yes my self control is being tested today! I just dont want to intrude on his friend time. In reality I want to be like “hey STAY in tonight so i can surprise you, you dummy” but can’t do that haha! So we shall see when i talk to him in a bit!